As you know we’ve just completed the Australian promotional tour with the YWAM Medical Ship for our “I Want to Live” campaign. 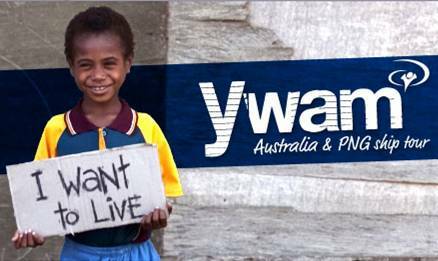 The message of I Want to Live is to raise awareness about the poor and needy and motivate people to get involved with our medical ship outreaches into Papua New Guinea and beyond. 12,729 people toured the ship! 7,663 people attended I Want to Live promotional events! 32,667 students head the I Want to Live message in school presentations! Our promo video has been viewed 11,171 times on youtube! We have 4,603 people that have joined our cause on Facebook! We’ve collected 23,627 pairs of spectacles to give away through our clinics in Papua New Guinea! Thanks for your continued prayers for our work with the YWAM Medical Ship. The ship is currently in PNG and we’ll be posting an update soon with some stories of the work going on there. In the meantime, check out the ship website for the latest.